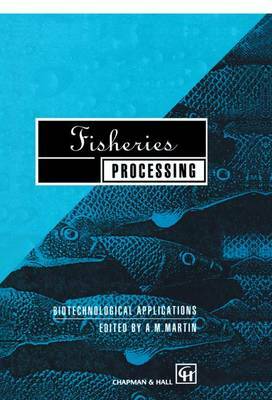 The fish processing industry is still far from the levels of scientific and technological development that characterize other food processing oper- ations. It has also been slow in finding uses for by-products and processing wastes, compared with the meat and poultry industries. The utilization of fisheries by-products or wastes constitutes an area in which the application of modern techniques could potentially improve profitability. At present, increased attention is being focused on the application of new biotechnological methods to operations related to the seafood industry, with the objective of increasing its general efficiency. Because fish processing operations are commonly carried out in the vicinity of the sea, most of the resulting fish wastes have been disposed of by returning them to it. Pollution control measures and a better understanding of the valuable composition of the products extracted from the sea are expected to encourage their recovery and the develop- ment of new products from them. In the past, fisheries wastes and species not used for food have been generally utilized through techno- logical processes with a low level of sophistication, such as those for the production of animal feed and fertilizer. Limited economic success has accompanied the application of physi- cal and chemical processes for the recovery of non-utilized fisheries biomass and for the production of quality products from them.